Pg. 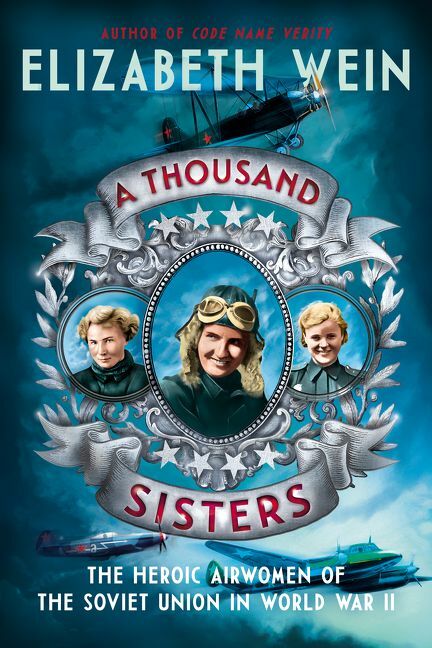 99: Elizabeth Wein's "A Thousand Sisters"
Featured at the Page 99 Test: A Thousand Sisters: The Heroic Airwomen of the Soviet Union in World War II by Elizabeth Wein. The Page 69 Test: Black Dove, White Raven. The Page 69 Test: The Pearl Thief. The Page 99 Test: A Thousand Sisters. 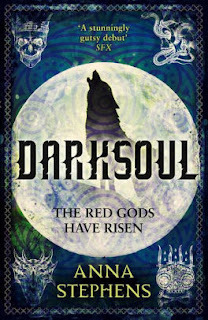 Featured at Writers Read: Anna Stephens, author of Darksoul: The Godblind Trilogy, Book Two. I've been on a research kick in the last few months for the new book/series I'm drafting, so I've been reading a lot of history and archaeology books. My Book, The Movie: Godblind. The Page 69 Test: Godblind. The Page 69 Test: Darksoul. 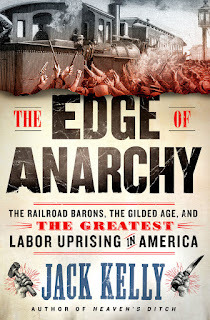 Featured at My Book, The Movie: The Edge of Anarchy: The Railroad Barons, the Gilded Age, and the Greatest Labor Uprising in America by Jack Kelly. How would I adapt The Edge of Anarchy into a movie? 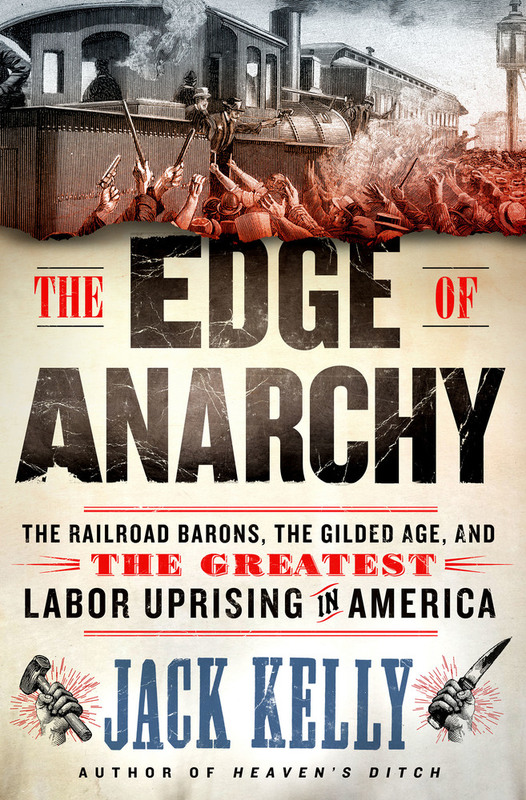 The book details the greatest labor disturbance in U.S. history, the 1894 Pullman Strike, which shut down rail service to much of the nation and brought rioting and food shortages to major cities. Labor history has not attracted many feature film makers. Norma Rae, Matewan, On the Waterfront ... the list runs out pretty quickly. To succeed the movie needs a strong protagonist. The Edge of Anarchy has this in Eugene Debs, the dynamic leader of the American Railway Union. A good villain is essential – George Pullman and U.S. Attorney General Richard Olney, who called in the army, will both serve nicely. A female lead: Jennie Curtis, a seamstress who electrified the union delegates and became a voice for the strike. A narrator: Debs’s younger brother Theodore, always at his side. The Page 99 Test: Band of Giants. Tony McNamara wrote the screenplay for The Favourite. 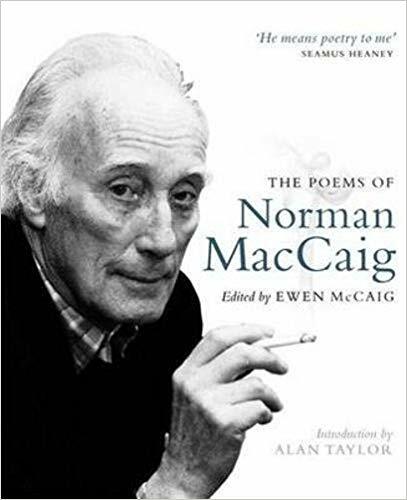 I read this when I was 21 and was knocked out by the darkness of the satire and the incredible comic rhythms created. Bob Slocum is scared of everything. A book about being destroyed by your own fears, and the inability to confront them. Pg. 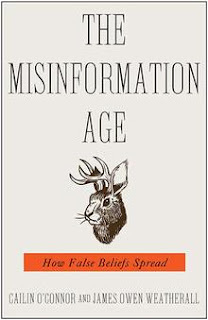 99: Cailin O’Connor & James Owen Weatherall's "The Misinformation Age"
Featured at the Page 99 Test: The Misinformation Age: How False Beliefs Spread by Cailin O’Connor and James Owen Weatherall. The Page 99 Test: The Misinformation Age. 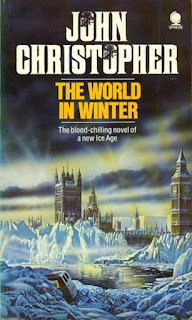 What is Chris Nickson reading? 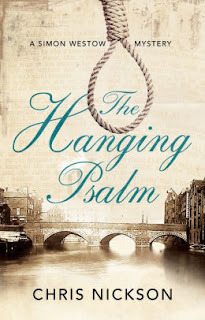 Featured at Writers Read: Chris Nickson, author of The Hanging Psalm. The Page 69 Test: The Hanging Psalm. Pg. 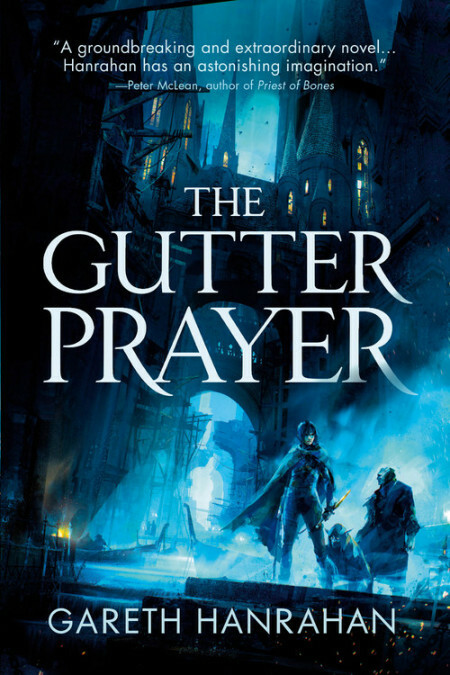 69: Gareth Hanrahan's "The Gutter Prayer"
Featured at the Page 69 Test: The Gutter Prayer by Gareth Hanrahan. Bee Wilson is a celebrated food writer, food historian, and author. Her books include First Bite: How We Learn to Eat and Consider the Fork: A History of How We Cook and Eat. She has been named BBC Radio's food writer of the year and is a three-time Guild of Food Writers food journalist of the year. She writes a monthly column on food in the Wall Street Journal. She lives in Cambridge, England. 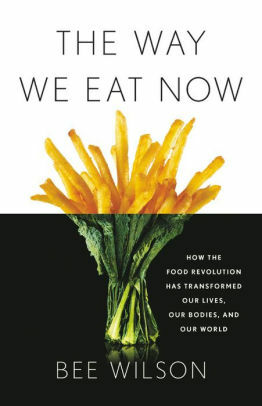 Wilson's newest book is The Way We Eat Now: How the Food Revolution Has Transformed Our Lives, Our Bodies, and Our World. Read about another book Wilson tagged. 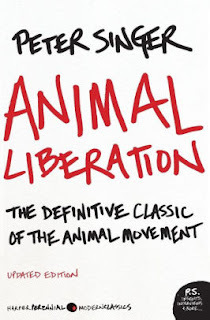 Animal Liberation is among Jesse Ball's six favorite books and Janet Malcolm's five top books about animals, domesticated and otherwise. Pg. 99: James Tackach's "Lincoln and the Natural Environment"
Featured at the Page 99 Test: Lincoln and the Natural Environment by James Tackach. 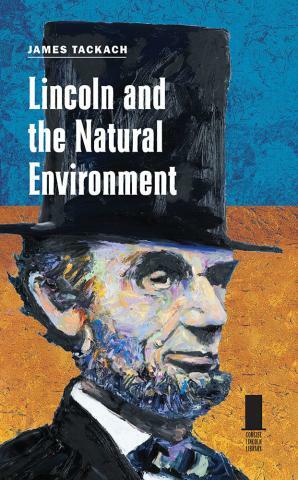 Learn more about Lincoln and the Natural Environment at the Southern Illinois University Press website. The Page 99 Test: Lincoln and the Natural Environment. Featured at Writers Read: Elizabeth Wein, author of A Thousand Sisters: The Heroic Airwomen of the Soviet Union in World War II. I kept a reading log last year, and I read 72 books in 2018. If I hadn’t kept that record, I think I would have put the estimate at about 25, which just goes to show – I read a lot more than I think I do. In the early years of World War II, Josef Stalin issued an order that made the Soviet Union the first country in the world to allow female pilots to fly in combat. Led by Marina Raskova, these three regiments, including the 588th Night Bomber Regiment —nicknamed the “night witches”—faced intense pressure and obstacles both in the sky and on the ground. Some of these young women perished in flames. Many of them were in their teens when they went to war. 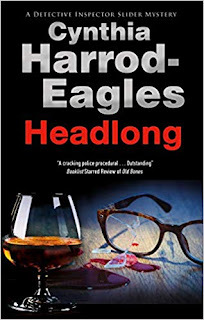 Featured at My Book, The Movie: Headlong by Cynthia Harrod-Eagles. I didn’t have anyone in mind for Bill when I wrote my first Bill Slider mystery, Orchestrated Death. He entered my head fully formed as soon as I started writing, and I instantly knew everything about him, what he looked like, his back story, what he liked and disliked. I have no idea where he came from, and he didn’t look like anyone I knew, on screen or off screen. My Book, The Movie: Headlong. Tessa Hadley's new novel is Late in the Day. 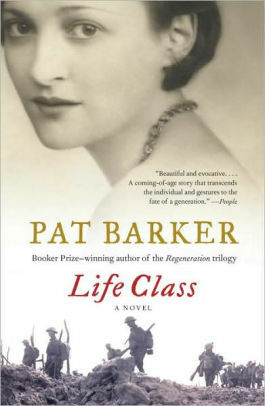 Life Class by Pat Barker (2008). Pat Barker's second trilogy about the First World War begins with this novel about three young artists at London's Slade School of Fine Art, one destined to become a medic in Belgium. She offers none of the usual clichés about the war; her research is impeccable but doesn't feel like research. The story feels fresh and unexpected as life itself. Pg. 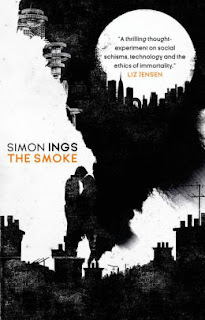 69: Simon Ings's "The Smoke"
Featured at the Page 69 Test: The Smoke by Simon Ings. A.F. Brady is a writer, psychotherapist and mental health counsellor. 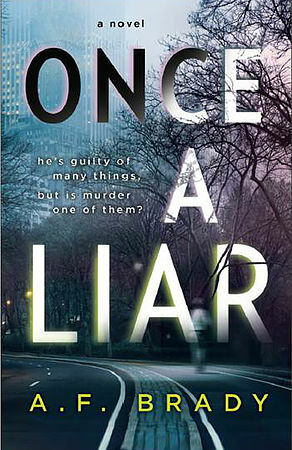 Her latest novel is Once a Liar. Holden Caulfield, one of the most controversial characters in literature, at once hated and revered, seems unable to find connection and satisfaction in any of his social encounters. He arrives back in New York after his expulsion from the prestigious and exclusive Pencey Prep in Pennsylvania. 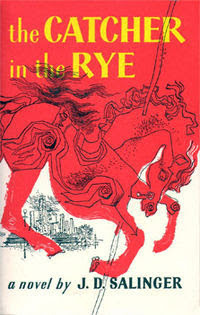 Depressed and chronically disappointed, feeling as though everyone except for him is a phony, Caulfield wishes to eventually become what he describes as “the catcher in the rye.” A person whose job it is to ensure that children playing in rye fields do not accidentally fall from the cliff at the edge of the rye fields. 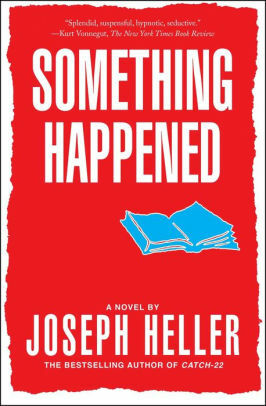 He sees it as saving children from losing their innocence, while Holden Caulfield himself is adrift in losing his own. The Catcher In The Rye appears on Liz Phair's ten desert island books list, Brian Boone's list of five great novels that will probably never be made into movies, Natalie Zutter's list of nine classic YA books ripe for some creative genderbending of the main characters, Lance Rubin's top ten list of books with a funny first-person narrator, Andy Griffiths's list of five books that changed him, Chris Pavone's list of five books that changed him, Gabe Habash's list of the 10 most notorious parts of famous books, Robert McCrum's list of the 10 best books with teenage narrators, Antoine Wilson's list of the 10 best narrators in literature, A.E. 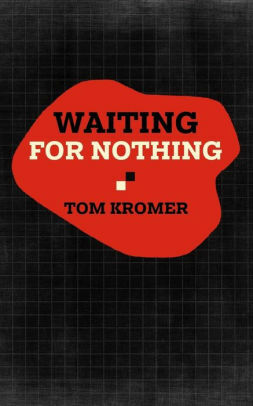 Hotchner's list of five favorite coming-of-age tales, Jay McInerney's list of five essential New York novels, Woody Allen's top five books list, Patrick Ness's top 10 list of "unsuitable" books for teenagers, David Ulin's six favorite books list, Nicholas Royle's list of the top ten writers on the telephone, TIME magazine's list of the top ten books you were forced to read in school, Tony Parsons' list of the top ten troubled males in fiction, Dan Rhodes' top ten list of short books, and Sarah Ebner's top 25 list of boarding school books; it is one of Sophie Thompson's six best books. Upon rereading, the novel disappointed Khaled Hosseini, Mary Gordon, and Laura Lippman. Pg. 99: Julie C. Keller's "Milking in the Shadows"
Featured at the Page 99 Test: Milking in the Shadows: Migrants and Mobility in America’s Dairyland by Julie C. Keller. Migrant workers live in a transnational world that spans the boundaries of nation-states. Yet for undocumented workers, this world is complicated by inflexible immigration policies and the ever-present threat of enforcement. Workers labeled as “illegals” wrestle with restrictive immigration policies, evading border patrol and local police as they risk their lives to achieve economic stability for their families. For this group of workers, whose lives in the U.S. are largely defined by their tenuous legal status, the sacrifices they make to get ahead entail long periods of waiting, extended separation from family, and above all, tremendous uncertainty around a freedom that many of us take for granted—everyday mobility. 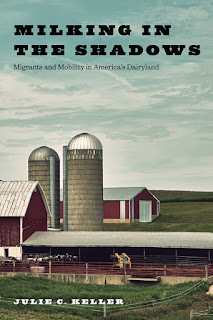 In Milking in the Shadows, Julie Keller takes an in-depth look at a population of undocumented migrants working in the American dairy industry to understand the components of this labor system. This book offers a framework for understanding the disjuncture between the labor desired by employers and life as an undocumented worker in America today. The Page 99 Test: Milking in the Shadows. What is Marius Gabriel reading? 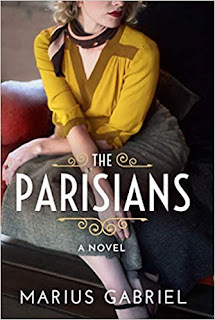 Featured at Writers Read: Marius Gabriel, author of The Parisians. I'm currently reading Miranda Seymour's very entertaining life of Mary Shelley, the second wife of the Romantic poet Percy Bysshe Shelley. 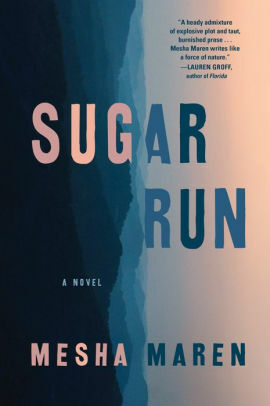 Miranda Seymour is a novelist as well as a biographer, and so the book is delightfully readable. 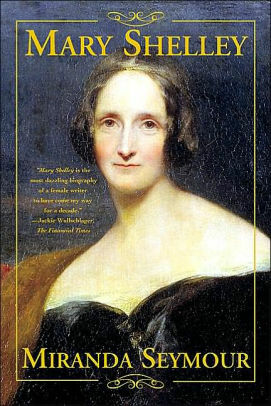 Mary Shelley, who wrote Frankenstein at the age of 19, was a brilliant and fascinating woman, whose life with the notoriously erratic poet was a mixture of tragedy, high adventure and bitter disillusionment. Highly recommended! In occupied Paris, one woman risks everything to help bring down the Nazis. Paris, 1940. The Nazis have occupied the city­—and the Ritz. The opulent old hotel, so loved by Parisians, is now full of swaggering officers, their minions and their mistresses. Within the hotel, famed designer Coco Chanel quickly learns that the new regime could work to her benefit, while Arletty, one of France’s best-loved actresses, shocks those around her—and herself—with a forbidden love. The Page 69 Test: The Parisians. My Book, The Movie: The Parisians. 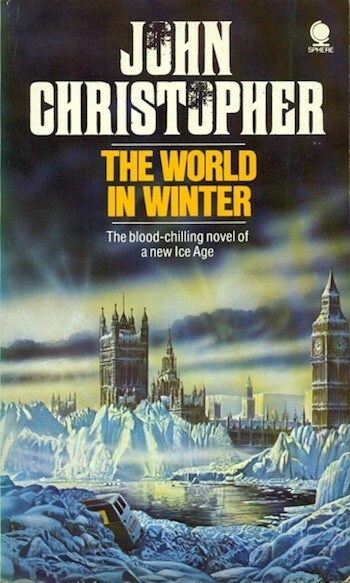 The cause of the cooling in John Christopher’s The World in Winter (The Long Winter in the US) is quite straightforward: the Sun dims ever so slightly. Hard cheese for the people of Great Britain, which as we know has had its indigenous human population wiped out by encroaching glaciers a half dozen or so times in the last million years. A bunch of privileged Brits head for Africa, which is less affected by the cooling. Much to the consternation of the refugees, they find that African nations only recently freed from their colonial conquerors do not welcome them with open arms…much like the real-world reactions of wealthy nations shutting out victims of climate change, war, and social disruption. Pg. 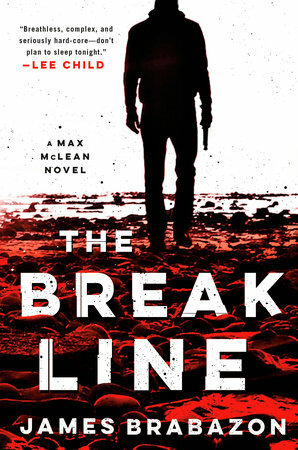 69: James Brabazon's "The Break Line"
Featured at the Page 69 Test: The Break Line by James Brabazon. 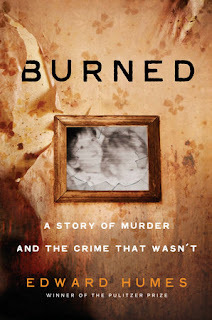 Featured at My Book, The Movie: Burned: A Story of Murder and the Crime That Wasn’t by Edward Humes. Terrence McNally is an American playwright, librettist, and screenwriter. Pg. 99: Audra J. Wolfe's "Freedom's Laboratory"
Featured at the Page 99 Test: Freedom's Laboratory: The Cold War Struggle for the Soul of Science by Audra J. Wolfe. Scientists like to proclaim that science knows no borders. Scientific researchers follow the evidence where it leads, their conclusions free of prejudice or ideology. But is that really the case? In Freedom’s Laboratory, Audra J. Wolfe shows how these ideas were tested to their limits in the high-stakes propaganda battles of the Cold War. Wolfe examines the role that scientists, in concert with administrators and policymakers, played in American cultural diplomacy after World War II. During this period, the engines of US propaganda promoted a vision of science that highlighted empiricism, objectivity, a commitment to pure research, and internationalism. Working (both overtly and covertly, wittingly and unwittingly) with governmental and private organizations, scientists attempted to decide what, exactly, they meant when they referred to "scientific freedom" or the "US ideology." More frequently, however, they defined American science merely as the opposite of Communist science. Uncovering many startling episodes of the close relationship between the US government and private scientific groups, Freedom’s Laboratory is the first work to explore science’s link to US propaganda and psychological warfare campaigns during the Cold War. Closing in the present day with a discussion of the recent March for Science and the prospects for science and science diplomacy in the Trump era, the book demonstrates the continued hold of Cold War thinking on ideas about science and politics in the United States. The Page 99 Test: Freedom's Laboratory. Though ostensibly a middle grade series for readers looking for their next magical fix after finishing Harry Potter, Stroud’s Bartimeaus books (a trilogy and a prequel) hide powerful, deeply progressive messages about colonialism, civil rights, and inequality within a thrilling, cheekily humorous adventure story. As the first book opens, the title character, a 5,000-year-old immortal djinni, is bound by magic to serve the whims of 12-year-old Nathaniel, the generally good-hearted apprentice to a middling magician. 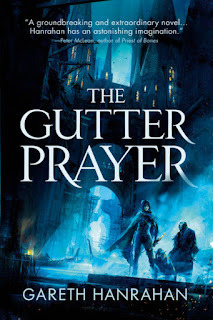 With the unwilling help of the supernatural being, who will suffer terrible pain if he refuses the boy’s commands, Nathaniel uncovers a plot to overthrow London’s ruling sorcerer class. 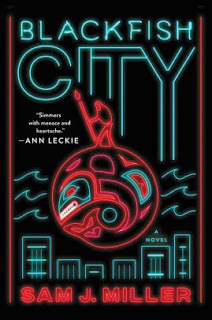 But by the second book, Nathaniel has become a part of the machine himself, and the focus shifts to a group of young people fighting against the entrenched powers that be. 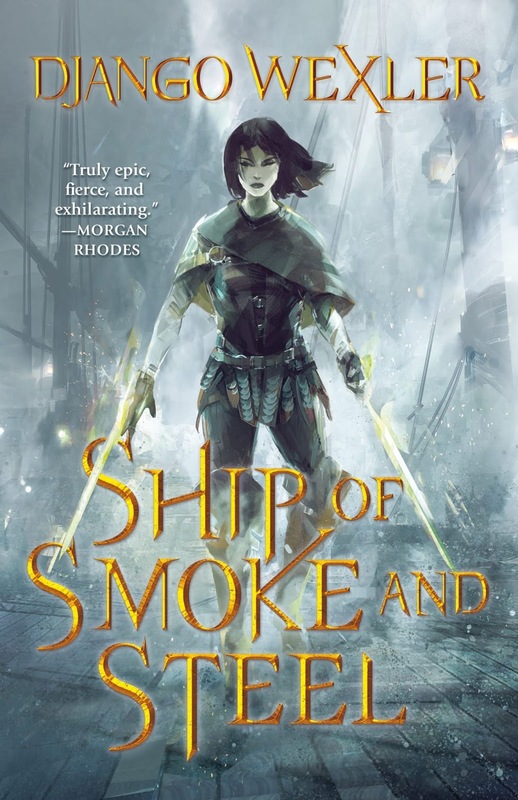 As a whole, the series is as much about prejudice, injustice, and the fight for equality—sorcerers aren’t inherently powerful; they just have the money required to purchase magical equipment, artifacts, and an education—as it inventive battle sequences between supernatural beings. The Amulet of Samarkand is among Sarah Gailey's top ten sci-fi & fantasy books that will remind you that life is about more than suffering, Django Wexler's top ten animal companions in children's fiction, and Francesca Simon's top ten fictional antiheroes. What is Mike Chen reading? 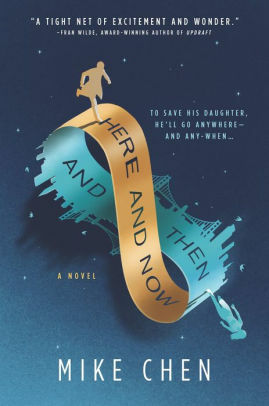 Featured at Writers Read: Mike Chen, author of Here and Now and Then. My Book, The Movie: Here and Now and Then. 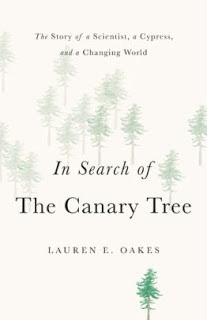 The Page 99 Test: In Search of the Canary Tree. Pg. 99: Louise Kettle's "Learning from the History of British Interventions in the Middle East"
Featured at the Page 99 Test: Learning from the History of British Interventions in the Middle East by Louise Kettle. Learning from history helps states to create foreign and security policy that builds upon successes and avoids past mistakes. 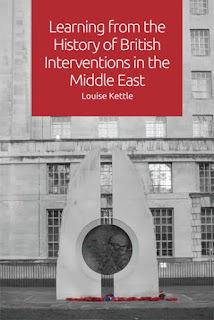 Drawing on a wealth of previously unseen documents, sourced by Freedom of Information requests, together with interviews with government and intelligence agency officials, Louise Kettle questions whether the British government has learned anything from its military interventions in the Middle East. She provides an extended commentary on military interventions in the Middle East since the 1950s, including a behind-the-scenes glimpse into Whitehall decision-making and a critical examination of the 2016 Iraq Inquiry report. The result is a highly original account of key political events that challenges the claims of lessons being learned from recent wars. 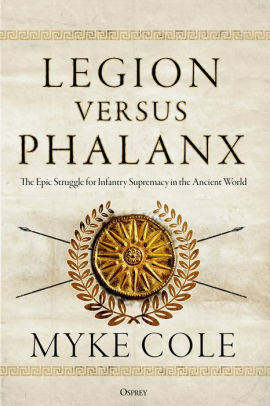 This book comes at a decisive moment as the ongoing war against Daesh, conflicts in Syria, and Saudi-Iran tensions continue to leave British action in the region as a contemporary reality where lessons from the past could prevent the British government from making the same mistakes again and again. The Page 99 Test: Learning from the History of British Interventions in the Middle East. Kristyn Kusek Lewis is the author of the novels Save Me (2014) and How Lucky You Are (2012), both from Grand Central. 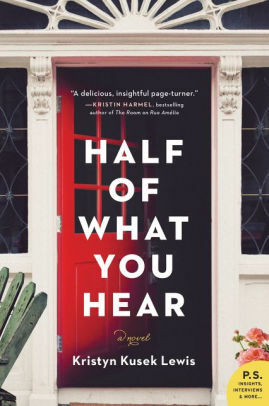 Her new novel is Half of What You Hear. 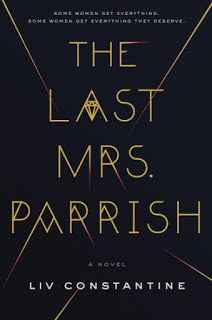 The Last Mrs. Parrish is among Margot Hunt's top nine thrillers featuring duplicitous spouses and Jennifer Hillier's eight crime novels of women starting over. The Page 69 Test: The Last Mrs. Parrish. Featured at My Book, The Movie: The Weight of a Piano: A novel by Chris Cander. Clara: Annie Murphy. I’m a huge Schitt’s Creek fan. I watched all four seasons in a few weeks while I was recovering from hamstring surgery. Annie’s character on the show, Alexis, is nothing like Clara—who’s strong, quiet, determined, vulnerable, evolving—but I know Annie could pull it off. 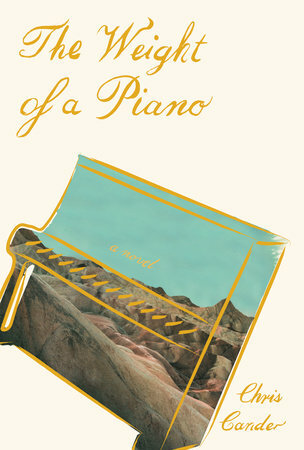 My Book, The Movie: The Weight of a Piano. 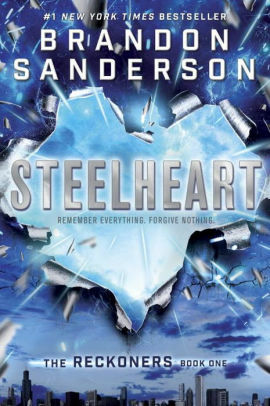 I was familiar with Sanderson’s work from the adult side of SFF, but for me his Reckoners trilogy, starting with Steelheart, is some of his absolute best. Superhero stories are a natural fit for the fast, explosive action he’s known for, and this investigation of a different kind of superhero world—in which the vast majority of them are evil, and they’ve taken over the country—is the kind of deconstruction I love. Another one with excellent characters—that’s a theme in my favorite YA, obviously—this series keeps up tension and interest in our main characters’ relationship without feeling manipulative. Pg. 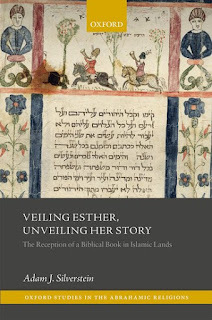 99: Adam J. Silverstein's "Veiling Esther, Unveiling Her Story"
Featured at the Page 99 Test: Veiling Esther, Unveiling Her Story: The Reception of a Biblical Book in Islamic Lands by Adam J. Silverstein. Veiling Esther, Unveiling Her Story: The Reception of a Biblical Book in Islamic Lands examines the ways in which the Biblical Book of Esther was read, understood, and used in Muslim lands, from ancient to modern times. It focuses on case studies covering works from various periods and regions of the Muslim world, including the Qur'an, pre-modern historical chronicles and literary works, the writings of a nineteenth-century Shia feminist, a twentieth-century Iranian encyclopaedia, and others. These case studies demonstrate that Muslim sources contain valuable materials on Esther, which shed light both on the Esther story itself and on the Muslim peoples and cultures that received it. Adam J. Silverstein argues that Muslim sources preserve important pre-Islamic materials on Esther that have not survived elsewhere, some of which offer answers to ancient questions about Esther, such as the meaning of Haman's epithet in the Greek versions of the story, the reason why Mordecai refused to prostrate before Haman, and the literary context of the 'plot of the eunuchs' to kill the Persian king. Throughout the book, Silverstein shows how each author's cultural and religious background influenced his or her understanding and retelling of the Esther story. In particular, he highlights that Persian Muslims (and Jews) were often forced to reconcile or choose between the conflicting historical narratives provided by their religious and cultural heritages respectively. The Page 99 Test: Veiling Esther, Unveiling Her Story. 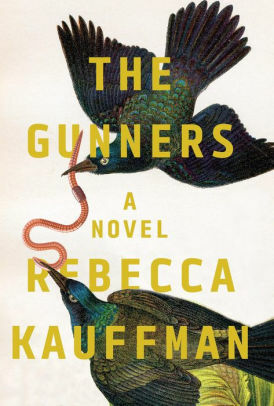 Rebecca Kauffman is originally from rural northeastern Ohio. She received her B.A. in Classical Violin Performance from the Manhattan School of Music, and several years later, she received her M.F.A. in creative writing from New York University. She currently lives in the Shenandoah Valley of Virginia. She is the author of Another Place You’ve Never Been, which was long-listed for the Center for Fiction’s First Novel Prize, and the acclaimed The Gunners. While Mel and Sharon’s partnership and creative mission are rooted in the field of animation, Whitaker weaves many musical references into this debut, from Wu-Tang Clan to Joy Division, which ground the reader in the characters’ experiences and sensibility. 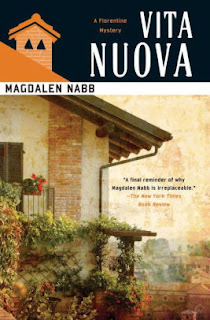 It is one of my favourite novels of recent years, and I have read it in a single day on two separate occasions. It’s about friendship, creativity and collaboration, as well as self-doubt, isolation and the painful reckoning with one’s own past that many artists undergo. 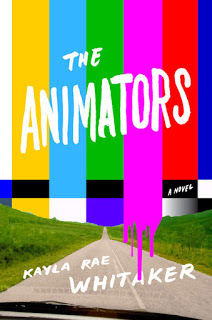 My Book, The Movie: The Animators. The Page 69 Test: The Animators. 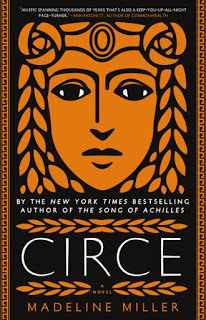 What is Carol Potenza reading? 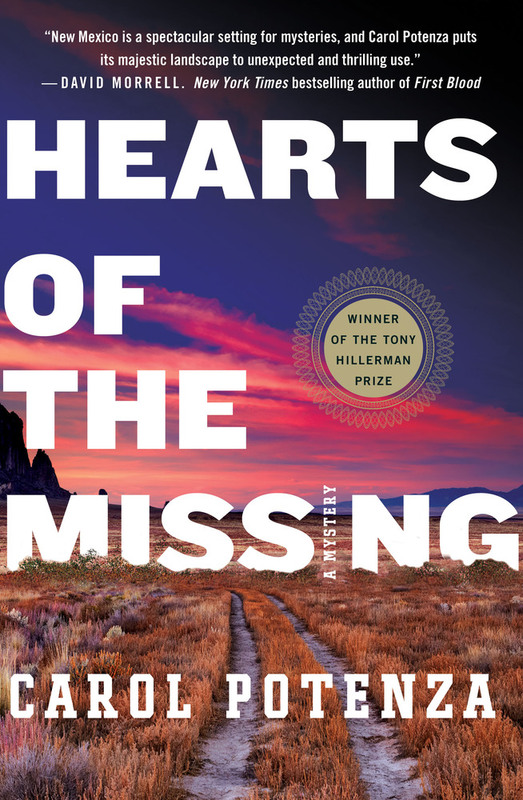 Featured at Writers Read: Carol Potenza, author of Hearts of the Missing: A Mystery. 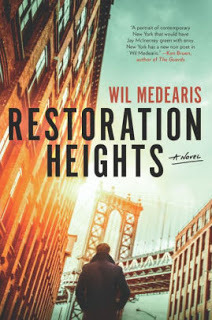 Wil Medearis is the author of Restoration Heights. 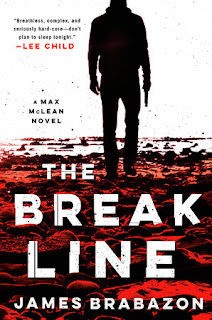 It’s fun to imagine which current authors will one day be admitted into the canon of crime fiction. 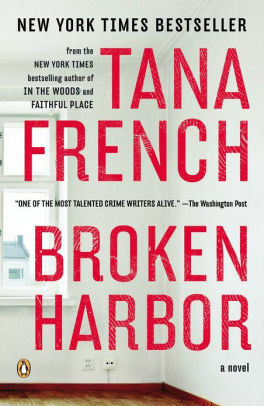 There are plenty of talented names in contention, but Irish writer Tana French is a shoe-in. Like Chandler and Ellroy and so many other greats of the genre she weaves unflinching social scrutiny into every aspect of her twisty, unpredictable plots, and has invigorated a genre—in her case the police procedural—with fresh insights and expansive possibilities. Broken Harbor begins with the murder of a family in an unfinished luxury development of the same name, and as the Dublin Murder Squad pieces together the events that led to their death the book assembles a portrait of unchecked greed and the raw exploitation of a family’s desire to live a better life. America’s sins turn out to be Ireland’s too, and no one working today is better at turning those sins into a compulsively addicting read than Tana French. Featured at My Book, The Movie: Here and Now and Then by Mike Chen. I tend to dream cast my roles while writing. 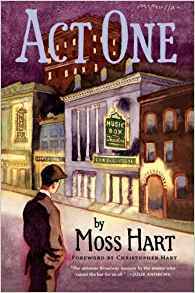 This is purely out of logistical need -- I find I can visualize a scene better (and thus translate it to prose better) if I have an actor in mind, complete with voice tics. For Here and Now and Then, it all started with Idris Elba as main character Kin Stewart, particularly Elba from Luther (sharp-eyed readers will find two easter eggs for this). Pg. 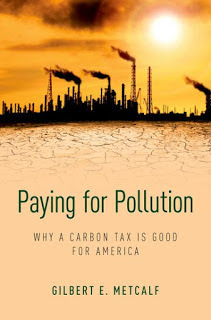 99: Gilbert E. Metcalf's "Paying for Pollution"
Featured at the Page 99 Test: Paying for Pollution: Why a Carbon Tax is Good for America by Gilbert E. Metcalf. The threats posed by global climate change are widely recognized and carbon emmissions are the major source of greenhouse gases accumulating in the atmosphere. Burning fossil fuels causes long-lasting, pervasive damages, costly to those of us alive today and even more to our children and our children's children. The United States is the second largest carbon emitting country in the world and should play a key role in global efforts to reduce emissions. Paying for Pollution incisively examines the very real costs-economic and social-of climate change and the challenges of concerted action to reduce future losses due to damages of higher temperatures and more extreme weather. Gilbert E. Metcalf argues that there is a convergence of social, economic, environmental, and political forces that provides an opening for a new approach to climate policy, one based on market principles that can appeal to politicians across the political spectrum. After all, markets work best when the price of a good reflects all its costs. Learn more about Paying for Pollution at the Oxford University Press website. The Page 99 Test: Paying for Pollution. Pg. 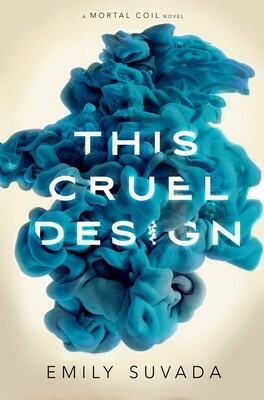 69: Emily Suvada's "This Cruel Design"
Featured at the Page 69 Test: This Cruel Design by Emily Suvada. Steph Post is the author of A Tree Born Crooked, Lightwood, and Walk in the Fire, as well as a short story writer, reader, teacher and dog lover (among many other things...). 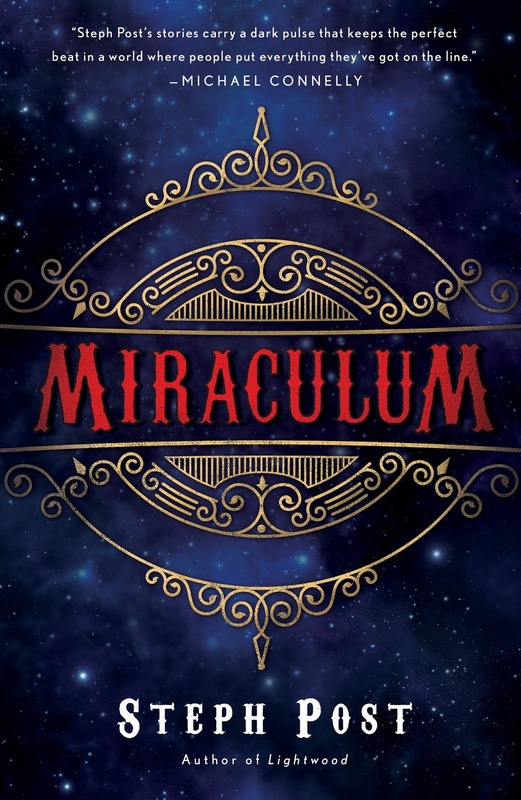 Her new novel is Miraculum. 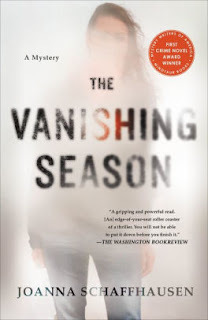 What is Mesha Maren reading? Featured at Writers Read: Mesha Maren, author of Sugar Run. Pg. 99: Jay Rubenstein's "Nebuchadnezzar's Dream"
Pg. 69: Jane Corry's "The Dead Ex"
What is Clarissa Harwood reading? Pg. 69: Anna Stephens's "Darksoul"
What is Jessica Barry reading? Pg. 99: Tony Platt's "Beyond These Walls"
Pg. 69: Chris Nickson's "The Hanging Psalm"
Pg. 99: Richard Drake's "Charles Austin Beard"
What is Jess Montgomery reading? Pg. 69: Marius Gabriel's "The Parisians"
Pg. 99: Matthew Carr's "The Savage Frontier"
What is M. K. England reading? Pg. 99: Andrew R. Murphy's "William Penn: A Life"
What is Matthew Carr reading? Pg. 69: Nicolás Obregón's "Sins as Scarlet"
What is James L. Cambias reading? Pg. 99: Lisa Greenwald's "Daughters of 1968"
Pg. 69: Taylor Adams's "No Exit"
Pg. 99: David A. Taylor's "Cork Wars"
Pg. 99: Murad Idris's "War for Peace"
Pg. 69: Molly MacRae's "Crewel and Unusual"
Pg. 99: Robert Lyman's "Under a Darkening Sky"
Pg. 69: Thomas Perry's "The Burglar"
Pg. 99: Michael Messner's "Guys Like Me"
Pg. 69: Eyal Kless's "The Lost Puzzler"